rechargeable sensor pump with soap sample, brushed nickel - 11 fl. oz. Our sensor pump is the most efficient way to wash your hands — no germs or smudges left behind. Perfect for use during food prep or cleaning up, its high-efficiency pump dispenses soap instantly in just 0.2 seconds. The silicone valve prevents messy drips and clogs. A wide opening makes refills fast and easy. It is rechargeable — one charge lasts up to 4 months. 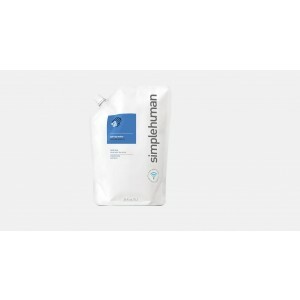 Use simplehuman soap for optimum pump performance. When dispensing, the flexible silicone valve springs open for a quick, steady flow, then snaps shut to create a seal preventing messy drips. The unique gear design in our high-efficiency pump is engineered to maximize forward flow and minimize backflow for faster, more consistent dispensing — in just 0.2 seconds. Lasts up to 4 months on one charge. The sensor has a precise trigger zone for accurate, high-speed activation. Easy-access control buttons allow for instant volume adjustment. Wide opening makes refills fast, easy, and spill-free. I love everything about this pump. Even the Simple Human soaps that are recommended for use with it are really nice - subtly perfumed and not sickly, sweet, cheap-smelling or over-powering. The pump has worked brilliantly from the day I got it. You have to get used to how sensitive it is and when you want to perhaps move it or give it a wipe, remember to turn it off first or you'll get an accidental dollop of unwanted soap! All part of the fun and it is a fun product to have around. All round great. Have had it some months and it hasn't needed a recharge yet, but I guess that depends on how much you use it - obviously! The pump stop working after about 8 days. It wouldn't charge. This is the 2nd sensor pump I'm buying from Simplehuman also with plenty of issues. No more. Rust, corrosion, or moisture on the USB port can prevent the unit to charge and respond properly. We understand that bathroom and kitchen countertops can be a wet place! Make sure to fully close the black port cover on the back of the unit after charging. Avoid direct contact with water. Do not rinse the pump off under water to clean it. We recommend cleaning the pump with a damp microfiber cloth. Love it...elegant design and flawless performance. Huge advantage to not need to change batteries every month. Easy to alter amount of soap via cool buttons on top. This unit is a big improvement over previous models, but for the cost a charger should be included. It was when I bought the 1st one. We have always included a USB cord with our rechargeable sensor soap pumps. A product specialist has reached out to you to assist you further. This little devil is beautiful! No more dripping, puddles, or nearly empty soap dispensers that fly off the counter with you try to pump the top. You never need to touch it so it is also much more sanitary in the bath or kitchen. This is a must have item in the kitchen and any bathroom near the kitchen or common area. I have one in the kitchen and one in the bathroom near the living room. I used the ones with batteries for years until the rechargeable came out. I am very glad that they are now rechargeable. They work great. All my guests have had good comments about them and have expressed that they would buy one right away. I purshased one last year for my guest bathroom. Liked it so much I ordered two more, one for the master bath and one for the kitchen. These dispensers look nice, need no batteries, and are clean, alleviating all soap messes made by other methods. Great product. Just used it for 2 days but i notice the pump squeeze very little soap (from it). Sensor also not very sensitive. Hopefully, they will do more research and improve this product. This is my 3rd Simple Human soap pump. I now have one in every bathroom. Love that it is rechargeable. Great product. Love the pump. Soap could be more gentle. This is fantastic dispenser! I love the convenience of hands free, the battery stays charged for a very long time and when I had an issue with the pump, customer service was unbeatable. I strongly recommend this product and this company. I love this soap dispenser. I purchased 3 others for use in all of our bathrooms. It's a great product! I really enjoy using the hands free aspect of this soap dispenser. It works very well and doesn't need to be recharged very often. It does not drip. This is a very good product. It has been almost a year since we have had one and it has functioned very well. We had a problem a few months in but called the company and they took care of it right away. The internal battery stays charged for a long time. The flow of soap can be adjusted and works well. I would recommend this product. The only reason I give it 4 stars is because I believe there is always room for improvement. Excellent. The unit was unused when I was overseas for months. Upon return, it wouldn't dispense. Customer service agreed to fix or replace the unit. At that time I decided to buy a cheaper dispenser which would later be used in a different bathroom. That was when I realized how good the Simple Human modal was so good. When the replacement from Simple Human arrived, I trashed the inferior replica. Bought this in July, 2015. Held a charge for a very long time, but then stopped working completely. They replaced it because of the warranty and the new one is still working great. I've gotten a decorative wire basket-type thing to keep the dispenser in, so that no water will accumulate around the base. Hopefully this will keep it from corroding. Love my new rechargeable sensor pump so much that I bought the white one for my bathroom! Looks great and is so nice not to have any mess! We enjoy this dispenser several times a day, however it stopped working after 5 months. They sent me a new one BUT they said there is no warranty any more. I don't understand why my original 2 year warranty is not honored anymore? It seems like you are penalizing me for your product that didn't last. Other products that I have purchased honor the original warranty period, why not you? Thanks for the review! I apologize if there was any confusion regarding our warranty terms. I see that you purchased this pump in June of 2015. As of today, you currently have 15 more months left on your warranty should your pump need servicing again. I believe we ordered 3 of these thinking we were getting the battery operated pumps. We don't like the rechargeable sensor pump at all. It only holds a charge for a couple of days. The charging cord is short and I wither have to charge it up with my computer or my husbands car. I would like to send them back if you can provide me with a way to do so. I would like to replace them with the battery operated pump. We have had one that is battery operated for about a year and love it. .
Love the product - love the customer care even more!! So I had the pump for almost a year when it stopped receiving a charge. The customer care at Simple Human was wonderful. I returned the product and as they could not repair, sent me a new unit. Thanks again for the great support. I am a Simple Human fan!! I love the sensor soap dispensors. My latest doesn't need batteries but can be reloaded via a USB connector. It looks cool, is very stylish and sleek and .... doesn't drip. It dispenses the exact amount of soap that I have set. It's not cheap but worth every penny in the long run. Returned one soap dispenser to the manufacturer and found that the usb charging plug has corrosion and not working properly. Company replaced the dispenser and recommended to secure plug in usb charger area to prevent it from getting wet. I apologize if there was any confusion. To prevent the area from getting wet, make sure to fully close the black rubber port cover on the back of the unit after charging. I purchased a brushed nickel soap pump and put it in my kitchen. Now I don't worry about cross contamination when I am prepping food, especially when working with raw foods. I liked it so much that I purchased a second one and put it in the main bathroom. The brushed nickel is very attractive. I would give it 5 stars, but the second after 6 months, stopped charging properly and had to be returned under the warrranty, however the process went smoothly and quickly and I received a replacement with no shipping charges.I am thinking of purchasing a 3rd one! Coolest mess free soap dispenser EVER! We just love our sensor pump. It dispenses just the right amount of soap without touching anything so there's no mess to clean up. Makes hand washing simple and neat. Love the product - works well. Customer service is quick,and efficient. Thank you for your courteous, prompt, and efficient customer service. It is wonderful to purchase a product and have the manufacturer be concerned and respond to problem. After trying to advise me on the phone and then have me send the product to you for your review was very satisfying. then when you sent e and email and said that it could not be repaired and that you already had a new pump in the mail truly impressed me. I will definitely tell family and friends about your great products and incredible customer service. . I really like this dispenser. It has clean lines and works great with both Simplehuman's soap or other brands. I have 3 of them. I recently had a problem after a year and Simple Human replaced the unit. Make sure you charge it when the indicator shows it needs charging. They all get lots of use in our house both in the kitchen and in the bathrooms. Loved my first one, though it wouldn't recharge. I sent it back to Simple Human who determined the USB charging portal was corroded. It appears this is the only flaw with this product, so be careful to keep that area dry. Simple Human honored their 2-year warranty and replaced the pump. Good thing, as I had purchased a case of the soap! Handy in the kitchen when you don't have two hands free. Even though a little expensive, it appears to be of great quality and I hope to have it for years to come. I give these out to my high end people and they love it! foodies or not every body has got to wash there hands. I think I am a little too tough on the one in my kitchen but customer service has been amazing. My first one died after a year. So far this one is only a month old. I have 3 of these; 2 at the kitchen sink and 1 in the bathroom. There is something satisfying about just waving to get hand and dish soap and these work, I love them. I have had similar problems as described by other reviewers with the recharging not working after awhile because of corrosion on the charging apparatus but have relocated the pumps to try to resolve this. Great customer service and a great product. My son says this is an extravagant item since a simple plunger pump would work but I when I have dirty hands from working in the yard and just wave to get the soap I get my money's worth every time. I own 3 of these, 2 at the kitchen sink and one in the bathroom. There is something enjoyable about waving under the pump to get dish or hand soap without having to push something. Particularly when I've been working in the yard and my hands are dirty, I just wave and get my hands clean without having to touch anything. My son thinks I'm extravagant since a plunger pump would be cheaper but it is a small pleasure and worth the few extra bucks. I love my sensor soap pump! So convenient and reliable! The soap smells great too! I have three of these pumps - one 11oz in brushed nickel and two 8oz in white. It's so convenient I can't go back to manual pumps or other types of soap dispenser. They are not cheap but simplehuman's excellent customer service makes up for it. I had a problem with one of the dispensers. The customer service responded and resolved the problem immediately. I trust the company. We love the convenience and design of this soap dispenser, but we are currently using our third one. After a few month's use with previous identical models, they failed to accept a charge. The manufacturer kindly replaced both of them. saying that corrosion had affected the electric socket. We'll see how long this one lasts ... it's now been several months. Satisfied this time so far. I just received my second replacement pump. The first 2 quit working and they were promptly replaced so I am thankful I now have one that is working. I will say they do have good customer service. The Sensor pump I exactly perfect as I have become to expect from simplehuman. I have bought all simplehuman products for my kitchen,2 bathrooms and shower,pantry (trash bag dispenser),etc The rechargeable sensor does exactly as it says, the charge lasts 4 mo. and simply plug it in and there you go for 4 more months. It is so great because you counter tops are always clean and no nasty soap dishes. Already wrote a review of this and the standard pump for Amazon. Thought they were great, though the rechargeable last exactly two years to the date that I bought it. You replaced it, so your customer service is well above average. Outstanding customer service. After reporting a problem with charging on the original unit, the replacement was received in a short time and has been working flawlessly. This should be the standard to which all customer service aspires to be. This pump is great. I love that you can adjust how much soap it dispenses. The aesthetics are on fleek as well. Thank you for your feedback. We're sorry to hear that you're having some trouble with the replacement pump. A customer support representative has contacted you to provide further assistance. I am on my 6th or 7th (lost count) "rechargeable" sensor soap pump. While I love the design and the concept, the product consistently fails. It works at first but then it will not hold a charge. Some last a few months and can be charged a couple times, other pumps that I have owned "die" after the first recharge. Very frustrating. SH has been wonderful about standing behind the warranty but the product needs some serious design improvements. Maybe the charger shouldn't be on the bottom of the device where water and dripping soap can get to it? Just a suggestion. I have TWO of the 11 oz rechargeable and after less than 2 weeks one started pumping soap on its own and the other doesn't pump at all even tho it has a full charge. I just got fed up and put them aside. Something is wrong with the 11 oz pumps because the one I have with batteries works nicely. I also have the sensor mirror which I LOVE !!!!! I will not be buying more rechargeable pumps. SH makes great items so I will continue buying the brand. Thank you for your feedback. We're so sorry to hear this. A customer support representative has reached out to further assist you. I give it 4 stars because it is a really, really nice, sleek (and when it works well) dispenser. However, after 3 months of using it, I was startled by a noise from the kitchen that sounded like something mechanical and traced the sound to this -- it was dispensing soap non-stop! I turned it off and called SimpleHuman, they replaced it within a few weeks and now I'm hoping this new one won't die on me after a few months. Never have I written a review before but I do read them - thanks to all of you who do them. I upgraded from the battery powered model which was ok - it worked and used batteries the handling of which I find annoying and there is no low battery indicator hence they expired exactly at the moment when my hands were their greasiest. This new pump is svelte , rechargeable like an iPhone or a Tesla and does its job as well as these - maybe even better - hats off to the design and implementation team that brought this to market. I'd like one now for honey and vodka in the kitchen and shampoo and body cleanser in the shower. The first one we bought lasted two months. After the first USB charge, it started failing by showing red flashing light. The second one we purchased failed again after the first USB charge! This time it shows as a green light but no soap dispensing. We are back to the other SM Soap dispenser that uses 4 AA batteries. What a disappointment considering the industrial design is superb but electronics needs a serious re-evaluation. Thank you for your feedback. We're so sorry to hear about your experience. A customer support representative has reached out to further assist you. This is my third unit. I had problems with leaks, unit not recharging and pumping problems. It is a wonderful pump when it works as many who have commented before. I am most impressed how customer tries to resolve the problems soon and efficiently. I own several other soap pumps from this company and I haven't experienced the problems with those as I have with this model. I purchased several soap pumps and a couple other products in December. For the most part all of the products have performed well, but the 11 oz soap pump has been a disaster. I have returned it twice in three months because of leaks. Each time they send me a new one. ALL THREE of the new units have had the same FAIL. In two of the instances, the soap has leaked so badly that it drips over the edge of my kitchen countertop and has actually left a stain on my hardwood floor. I don't know what is going on. The third unit is on its way back to Simple Human as I write this review. Lets hope the fourth time is a charm. I love my easy to recharge and refill sensor pump from simple human! After several months, I had a problem with the lid not closing properly. I contacted simplehuman. They paid for its return so they could fix or replace it. Within a week they had replaced it. 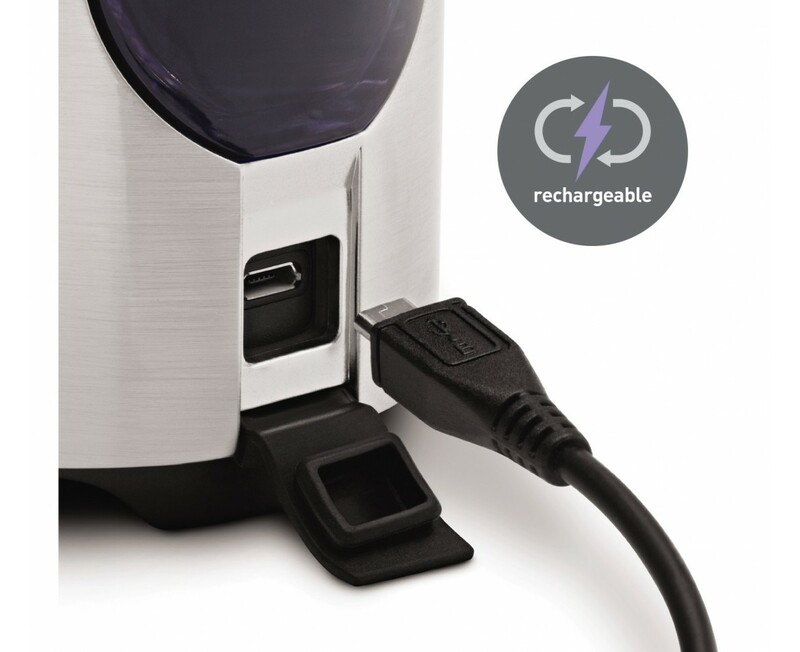 I especially love the rechargeable feature which is so much simpler than replacing a battery! I use this no hands soap pump that I use at my kitchen sink., would I would like one at each sink! Thanks simplehuman for the great product and quick service! It deserves 5 star except that you had to replace it. I may update my rating if in a year I have had no more problems with this replacement. As I believe in frequent through washing, hands, dishes, tools etc., this soap dispenser is proving to a needed addition to every sink top in my house. Recharging is fast and easy. Infrequent wiping/clean up of the unit can be messy if you forget turn it off before you handle it around the sensor, and with certain liquid soaps, a build up occurs around the rubber nozzle, but not a serious problem to overcome. 5 stars. Note: Save a little water, save a little soap. For hand washing, I found that if I thinned the soap with 40-60% water, adjust the dispenser volume to max, I am able to avoid using water to pre-wet my hands. From sad face to happy face. I was so angry when my dispenser died after a short use. After much back and forth they had me send pump back and replaced it, Love the soap dispenser and please with the final service I received. A 5 star product downgraded due to reliability problems. That said, Customer Service promptly honored warranty with a replacement. This product works very well and the company has backed it up. I had one that stopped taking a charge after about 6 months and they replaced it with no hassles, etc. Nice part is that it is easily adjustable and not overly sensitive (doesn't dispense when you don't want it to). Overall, we are very happy with the product, although I would probably go with battery powered next time just to have one less charger to worry about. I AM ON MY SECOND DISPENSER..............ONCE AGAIN THIS HAS STOPPED WORKING! Thank you for your feedback. A customer support representative has reached out to you to provide further assistance. I am on my third unit at this point. The first one just started dispensing without any prompt and the second on just stopped holding power. There seem to be some major flaws in the design and for this price there really shouldn't be so many problems. There is a 2 year warranty and the company seems happy to replace their items but once the warranty runs out I will definitely looking for another product because I have no faith this item will continue to work. This automatic, sensor dispenser is a game changer. Feels like solid construction. Looks slick in chrome. Works very well. Customer service is responsive. Great brand. I purchased my first rechargeable soap sensor pump in April 2014. I loved it. Then, around November or so, it started acting weird. I contacted Simple Human and they sent me a brand new pump. When the pump works, it's fantastic. The service and response I received from Simple Human was also fantastic. They honored the warranty with no hassle. I have other Simple Human products and I like those as well. Fantastic pump when it works...fantastic service when it didn't. SimpleHuman is OK by me. It is a product when it works. I am on my second unit. The unit failed to recharge on each one. Luckily I was still in within the 2 year warranty period. The warranty period does not change with each replacement, so if this one fails, I will be without my unit. I will have to purchase another product without the bells and whistles. Meant to rate this 1 star - If I could give it 0 stars, I would! This just stops working and I have had either 3 or 4 replacements. I would NOT recommend! Thank you for your feedback. We are so sorry to hear that. A customer support representative has reached out to you to provide further assistance. I have ordered three of these....... Two have been returned.......they just stopped working. When they work .......they are great! Excellent time saver in kitchen. One wave under the spout gives a measured amount of soap, and messy hands are clean in seconds--ready for the next task. I have purchased 3 of these...one for myself and the other as gifts. One works well, they have replaced one of the gifts and I am in the process of returning the other gifts for possible replacement! I ran into a problem with my first sensor-- it would not charge. Customer service was outstanding and trouble free. I got a brand new one and love it. No mess and soap amount is easily adjusted. I use it for my kitchen-- looks great and makes for a fast clean up. Plan to buy one for the bath soon. Having never had a touch sensor pump sensor before, I didn't know whether I would like this or not. Turns out, I love it. It dispenses *just* the right amount of soap and you never have to touch it and get it dirty. It looks just like the day it arrived at my house. This is a wonderful product. I have purchased 2 of these soap dispensers and have found they have consistently failed to recharge reliably. Save your money. Thank you for your feedback. We're so sorry to hear about your experience. A product specialist has reached out to you to provide further assistance. This is a totally unnecessary indulgence without which I now cannot live happily. I love it so much that I give it to my best friends who are now as crazy about it as I am. 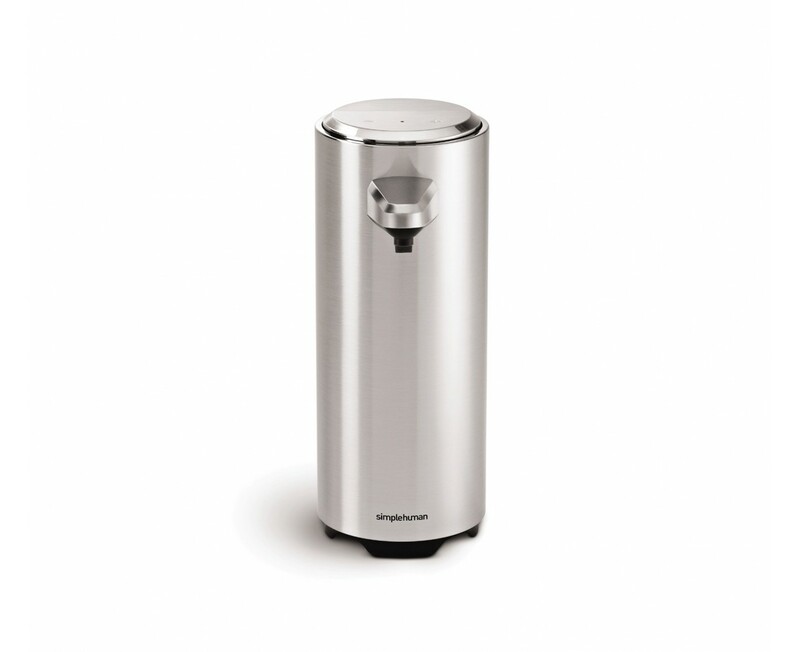 It is another one of the beautifully designed products from simplehuman. Thank you so much! Some problems but good service. The rechargeable sensor pump worked fine until the charge ran out, then it would not recharge. Sent it back to SimpleHuman and they replaced it with a new one. So far, so good but we have not had to recharge the new one yet. Unfortunately, they did not extend the manufacturer's warranty for the full year on the new one, only from the date of purchase of the broken one, about three months prior. If it is a new machine, the warranty should be for the full year. It is not the date of purchase of a defective unit that should govern, It is the declared quality of the new product. However, I am satisfied. I did have to return it--it worked fine for 2-3 months, then it started to work only sometimes--, but the new one seems to be fine. I like the product, the customer support was good, and the return was easy. I do think that at least occasionally when it's empty, it's a good idea to pump hot water through it. We had been using another soap dispenser with refill cartridges and decided to make the change to this sensor pump. This pump gives us the ability to set the amount of soap that comes out. 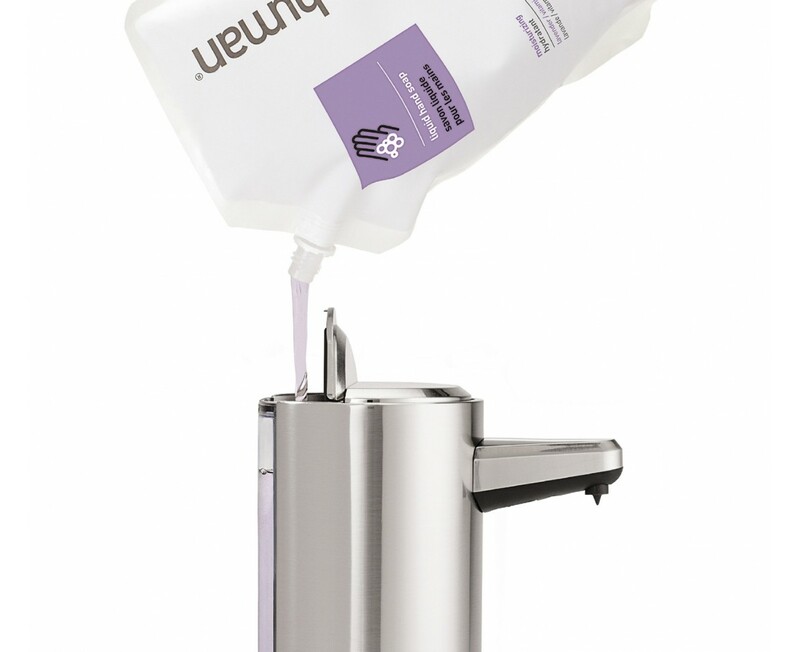 It also is very easy to fill with the simplehuman liquid soap packages. While we have not need to recharge ours yet, the feature is great. We purchased the plug with the USB, and we keep it plugged into an outlet at the sink. Finally, the unit looks great sitting at the sink along with our simplehuman dish drainer and sponge holder. This is my 2nd. The first stopped working after about 6 months. I liked the idea for my kitchen so I decided to buy another. I charged it filled it and it doesn't work. I was cooking dinner and it just randomly started dispensing soap. It emptied the entire reservoir. I tried turning it off but can't. It won't dispense when you put your hand under it. I let the charge run out hoping it would reset itself but that hasn't worked, So, this has resulted i a complete waste of money. I have quite a few Simple Human products in my home and this is the first disappointment. I guess it's back to the manual pumps. Thank you for your feedback. We are so sorry to hear about your experience. A customer support representative has contacted you to provide further assistance. Nice product, thought not as easy as a regular pump to refill. I am on my 4th unit. The first one worked perfectly for 7 months, then died strangely. Simplehuman.com replaced is three times, and the last one is again working perfectly. Number 2 & 3 never worked. I do love the unit, but am even more in love with their customer support. I will definitely buy more things from this company because customers really seem to matter to them. I am enjoying using the rechargeable sensor pump with soap. I have it in my powder room. I like that it is rechargeable and I don't have to purchased batteries. I had to replaced it after seven months but after contacting customer service they suggested I send it back. I received a new pump soon after they received it. I appreciated the service I received from Simplehuman. Thank you for your feedback. We are so sorry to hear about your experience. A customer support representative has reached out to you to provide further assistance. Great customer service. Our first one quit working after about 18 months. We returned, they replaced! Hope it keeps working 'cause it is extremely convenient and efficient...and it looks good. A big improvement over the original battery operated version. Now if Simple Human would change the complimentary soap to something less aeromatic--the lavender moisturizing soap is overpowering! My Favorite Rechargeable Pump. Period! Of the four simplehuman pumps we use constantly, this one is my favorite. It is small; however, it holds sufficient soap for my simple needs. It is quite attractive and it works well. The main caution I offer is to keep it charged. My USB charger station is within 2 feet of this unit and any time I detect a slower feed, I charge it. While several weeks I had a problem with the unit, I contacted simplehuman (really fantastic folks, there) and within days I was up and running with zero customer service issues. I also am sure the nozzle is free of dried soap. The newer design has almost eliminated that issue and I have yet experienced any problem whatsoever with this one. Thanks, folks, you really did a magnificent job. I love the concept. Nothing worse than having your hands in a bowl mixing chopped meat with eggs and breadcrumbs when the phone rings but you can't answer the phone until your hands are clean. A simple wave of movement from my hand dispense soap and boom your hands are clean after turning on the faucet. NOW if you guys could only invent a phone that serves the same needs as your soap dispense, I would purchase it. I have 3 of your designs and love them all. The Most Beautiful Soap Dispenser Ever!! Great design as one would expect of Simple Human and with their soap, it is perfection!! A must have for anywhere in the house that soap requires dispensing. My 11 fl. oz. sensor pump is as handsome as it is utilitous. It definitely brings a sleek, modern element to my apartment’s kitchen. Rechargeable Sensor Pump - 11 oz. Excellent product, excellent quality. No messes, at all! Small, space saving, elegant design. So much better than plastic dispenser soap bottles. I liked my first pump (8 oz.) so much that I bought two more. Excellent value for top of the line product. I use my 11 oz. Sensor Pump in my Kitchen. It helps to insure my hands are their cleanest when I prepare to cook. And as much as I’m in my Kitchen, there is never an accidental spill from the pump. Love it! I bought the sensor pump to replace my old simple human pump. Two words -- Five Stars. Major improvements include -- soap no longer clogs rubber nozzle. Sensor is now able to operate without have a sending and receiving side -- Just the sending side is all it needs to sense your hand beneath the pump nozzle. If you need a soap dispenser look no further! The rechargeable sensor soap dispenser works really well for the chefs in my kitchen. We had a problem with our first one-- it wouldn't recharge so we had to keep it plugged it to work- but simplehuman customer was terrific. I sent it back and a new one arrived a few days later. I highly recommend the rechargeable sensor soap dispenser. Gifted 3 to children for Christmas 2013. So far they love it. Three (3) of my adult children got this for Christmas and they loved it. Hope it works well. Son said just in time. One I gave them 2011 Christmas (not rechargeable) stop working. Hope this last more than a couple of years. Thank you for your feedback. A customer support representative has contacted you to provide further assistance with your other non-rechargeable soap pump. I really missed my sensor pump after I returned it to you under warranty. It's a plus in the kitchen when my hands are so busy. Now I'm happy to have it again and I hope it lasts a long time. Can't live without it. Wow. Beyond my expectations. Simple, functional and looks good enough to proudly display. I've used older ones that dispensed too much soap (on the lowest setting) and took too long to drip out. This thing squirts your little dollop INSTANTLY and precisely. The only issue I had is that when I unpacked it the red light was shining before I even touched it. That means it was ON in the package... with the battery run-down. My concern is how low the battery was discharged in the package before I could plug it in. No way of knowing what the service life of the battery is until I use it for long while. But for now... I love it. Thank you for your feedback. We've designed the rechargeable sensor pump to last through hundreds of charging cycles, and one full charge can last up to 3 months depending on usage. Therefore, this shouldn't have affected the service life of the battery. We recommend that you fully charge it before the first use for optimal performance. Please feel free to call us at 877-988-7770 (Mon-Fri 8am-5pm PST) should you have any further questions. We're always here to help! I'm reserving judgement about this dispenser. I did not realize how inconvenient it would be to have a "default" dispense volume. My husband, apparently, uses much more soap to wash his hands than I do. If he increases the volume, I have no way of knowing that before I use the dispenser -- and I get a handful of soap. So, I turn it back down and then he's frustrated the next time he uses it. My husband and I also use different settings on our toaster, for example ("suntan" and "charcoal"), but there's a visible indicator that tells me which one it's been left at -- before I push the lever down. With this dispenser, it's a mystery. With a manual pump, everyone can dispense as much or as little soap as he/she needs. Also, I cannot make the supplied power cord work. It comes without the 110V AC-to-USB adapter, so I connected the adapter from my Kindle to the SH cord, and the charging light never came on. I tried the KIndle adapter and Kindle cord, and that worked. Thank you for your feedback. A customer service representative has contacted you to provide further assistance with your USB cable. I love the design and the fact you can dispense a little or a lot of soap to your liking. Also, the dish soap has a wonderful smell and works great with the unit. Had a previous sensor pump, not rechargeable. The new one is so much nicer and will save money on batteries. Great idea! What a wonderful soap dispenser! I love the fact that I simply go over to the soap dispenser, put my hand underneath the spout, and the perfect amount of soap is discharged. I have not had it very long, but it is perfection thus far. I am tired of having soap dispensers that stop working after a very short period of time and that get dirty with all of the hands that touch it. Hygienic, nice looking, and extremely functional. Well done! Really looks nice and works better than previous model. Pump control is on top and easy to use; raising it up on feet eliminates the drip/stain. Use this brand soap since it doesn't clog or erode the plastic parts like the old model. Still on first charge (3 weeks) and seems fine. Nice improvements. Great product. No soap mess whatsoever. The size is perfect as well. Good design. I bought one, used it loved it and then bought another for my kitchen. I had two X brand, battery operated soap dispensers, bought cheaply that went through 4 AAA batteries in 3-4 weeks. This is expensive and not environmentally friendly. One of the battery those units corroded which is when I became determined to find an alternative. The only drawback to the Simply Human unit I've found is that I waste a lot of soap in filling and adjusting the flow. I've only done it a few times so maybe it will get better. Without doubt this is the best soap dispenser Simplehuman has ever come up with. Beautifully designed, easy to use and perfect for any room where soap is needed. I love this soap dispenser! I have 3 of them, one in each bathroom. I am so glad I purchased this rechargeable soap dispenser. Now I never have to worry about batteries again! It works very well and the sleek style is also nice to look at. Liked it so much I bought another! We debated purchasing because we weren't sure that this was what we needed, especially at this price. But after knocking over the kitchen soap dispenser to the floor again, having the pump stick, etc., we decided to try it. And it's a perfect product for us. It works exactly as described; no hands, fast and easy recharging, can adjust the amount of soap, looks great (like it's part of the kitchen design, compact, easy-to-follow directions (and not many of them), so well made and designed. I show it off to all our guests, and they're all agog. I am very pleased with the Rechargeable Sensor Pump. The original battery operated pump was too large for my bathroom vanity. This new one fits just fine. Works well in the three weeks I've owned it. Haven't had to recharge it yet. Great product! Easy to set up and adjust the volume of soap that is dispensed each time you put your hand under the nozzle. Seems to implicitly encourage more frequent hand-washing. Has worked reliably since installed.